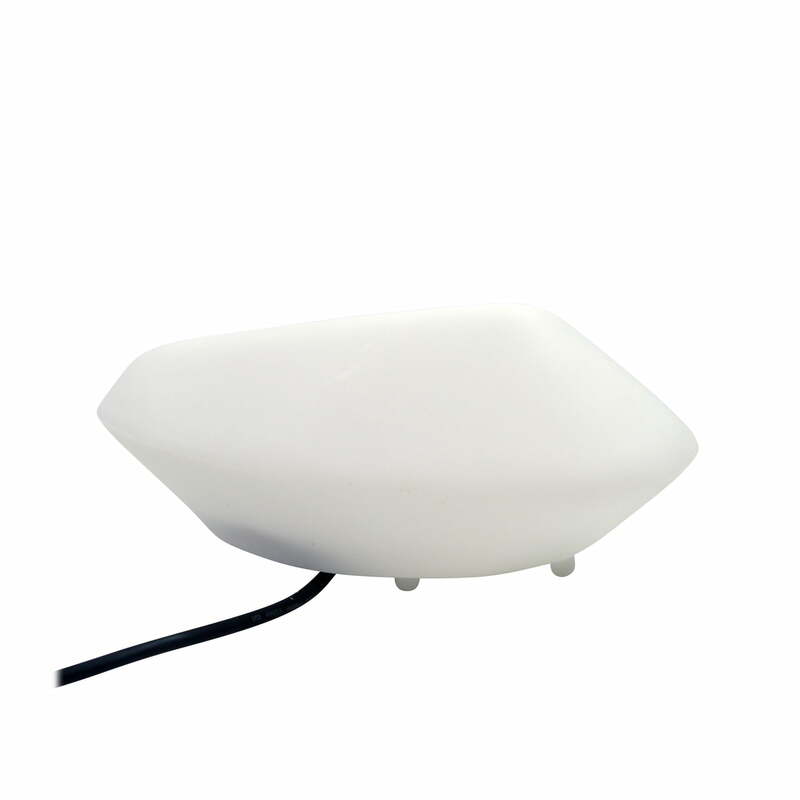 The Stones outdoor lamps are produced since the year 2002 by the Italian manufacturer Oluce out of the synthetic material polyethylene and are adapted to indoor and outdoor use. A contrast to the artificial material is given by the organic forms of the lamps that recreate natural stones. 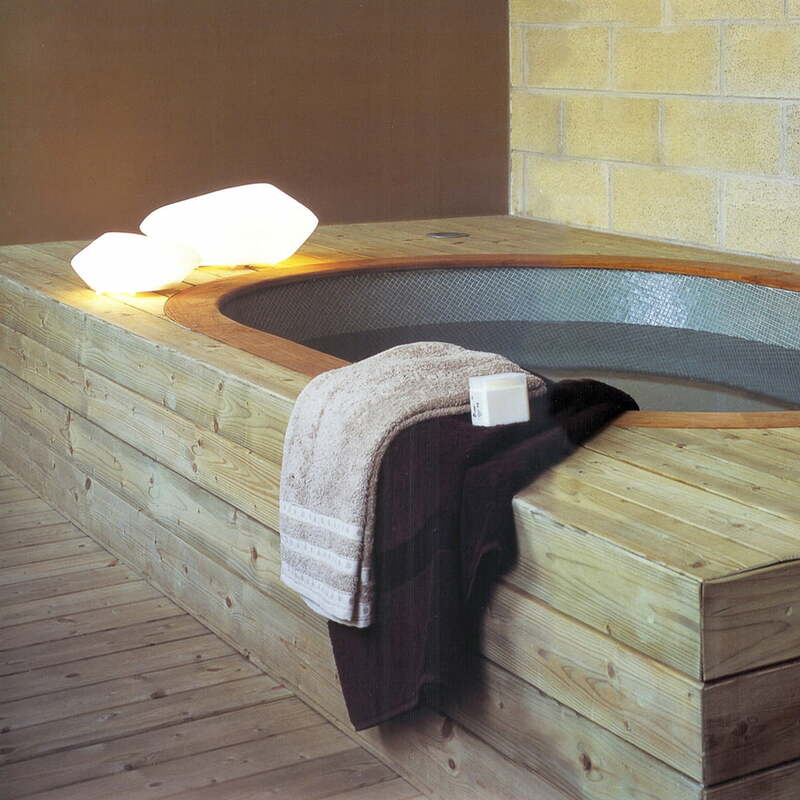 The design of Stones was coined by Marta Laudani & Marco Romanelli. The artificial stones can be placed in the garden, on small tables, small walls or simply in the floor as well as in a group. Inside of every Stones lamp there is an illuminant whose light falls softly through the lamp-corpus and creates a comfortable atmosphere. Oluce offers the Stones outdoor lamps in three sizes. They are a further development of the table lamps Stones of Glass that are as well produced by Oluce. 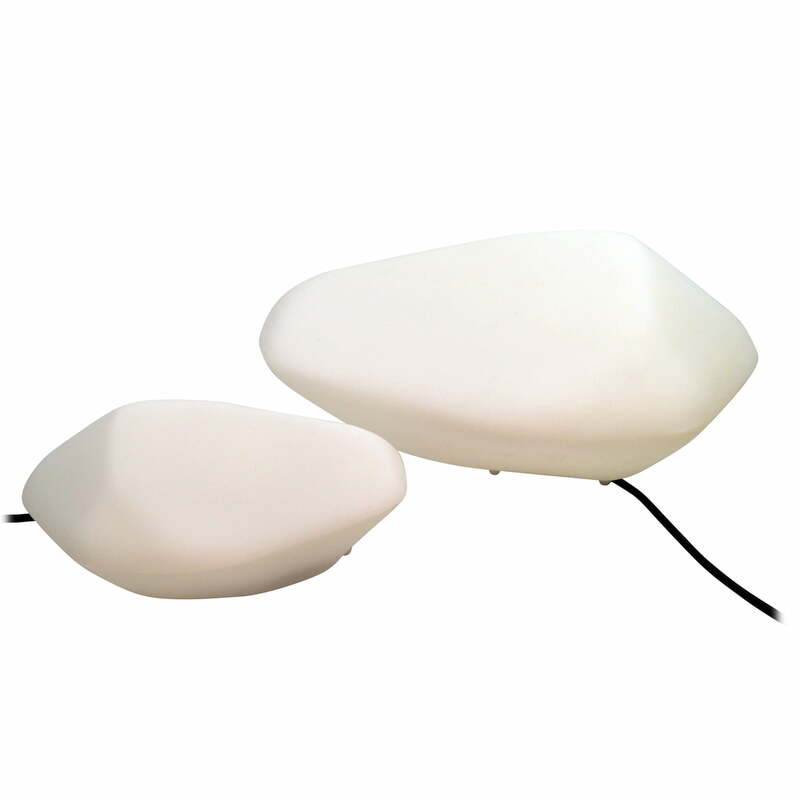 Unlike the Stones of Glass, the Stones lamps out of polyethylene are adapted to outdoor areas. 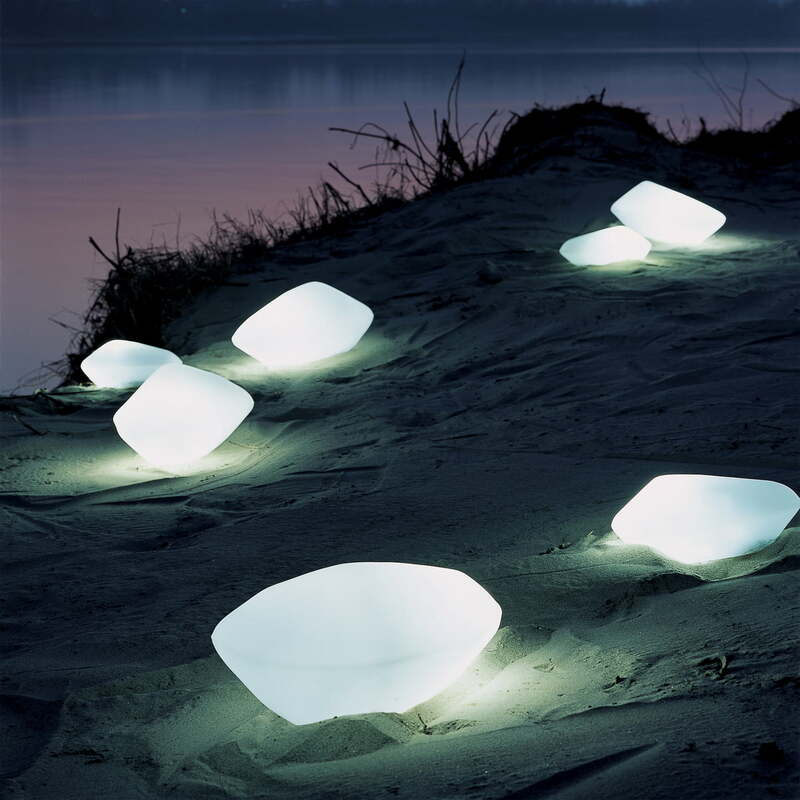 The outdoor lamp by Oluce stones is available in three sizes. 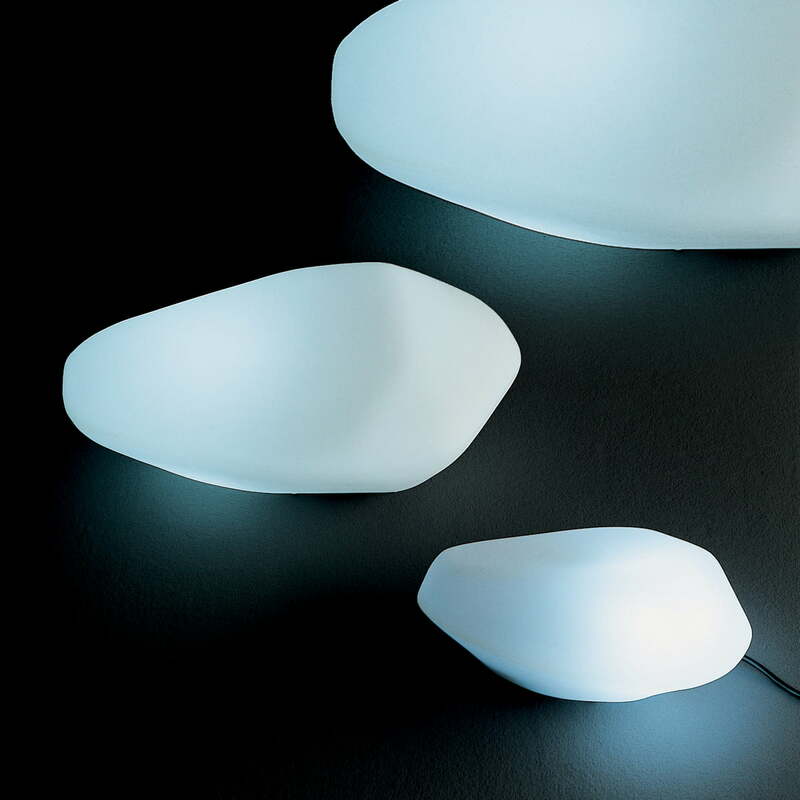 Its organic shape, in contrast to the light material made of polyethylene, reminds us of a stone. The Stones design was coined by Marta Laudani & Marco Romanelli. The outdoor lamp can be placed individually or in group, on a table in the garden, on small walls, or on the lawn.